Hello there I’ve wanted to do a mobile sandwich business for years. I have a KIA Sedona. In case you’re not sure about the make of cars like me, it’s a people carrier with six seats. It has vents all the way up the sides of it. I was wanting to do the cooking at home, hot and cold sandwiches with the odd pie, quiche etc. The seats would be taken out of the car apart from the front ones. Do I need to do anything with the floor? I have a generator which would work the mini fridge in the car and the food warmers, which food would be transferred to keep it hot and the cold sandwiches would go in the fridge. I just wanted to do 2 hours a day between 5 and 7 around my local streets as we hardly have any food sauce here. I know I have to get the health and hygiene certificate and permission from the council. You probably can get some sort of conversion done, but it may cost you a lot of money and time trying to find out. I recommend you may be better of selling your car and buying a van with the conversion already done for you. This will save you a lot of time and hassle. It might also be worth you looking into buying an actual sandwich round; I do believe that there are actual Franchises available that offer this service. Join in and write your own page! It's easy to do. How? 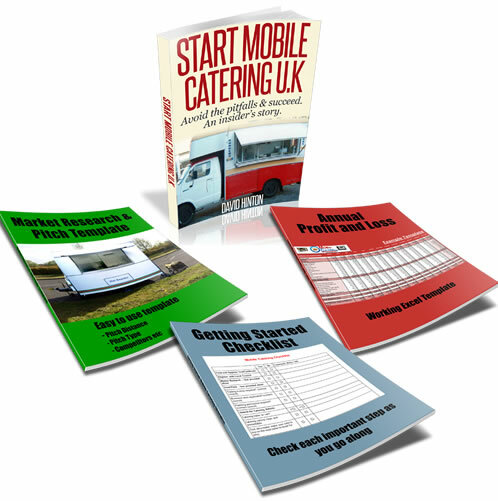 Simply click here to return to Mobile Food Trailers - Questions.